You know what it’s like to live in the Pacific Northwest. It’s rainy. And rain leads to moisture. It’s common knowledge that moisture inside a house, particularly in the frame, is not good for a building. With that said, when your home’s insulation gets wet, what do you do? Lucky for you, the experts here at Northwest Weatherization are here to help. Keep reading to find out what you need to know about wet insulation. What can lead to wet insulation? The most common cause of wet insulation is a leak in your home. Getting that fixed or patched up is your first priority. Leaks come from holes in the roof or the siding. Sometimes cracks or spaces between windows and door frames and the rest of the building allow water to come through. If you can’t locate the leak on your own, get help from a professional. 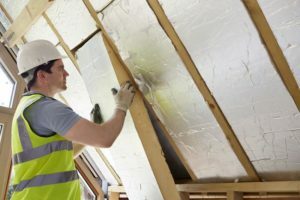 What kind of material are you using for insulation? 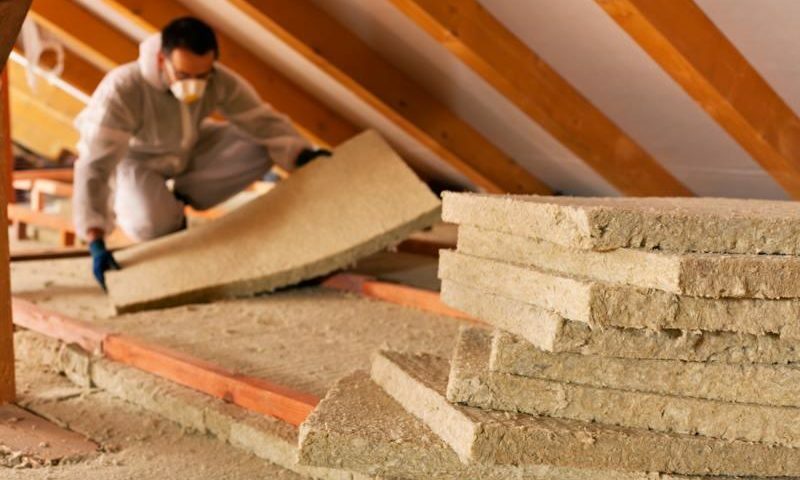 There are many different types of insulation on the market today. Each one of them has vastly different properties and handles moisture in their own way. If you don’t know what kind of material you have in your home, go and check. The easiest way to do this is to look in the attic, where the insulation is exposed. Fiberglass is the most common insulation material. It’s made from small glass particles and water. Glass doesn’t absorb water, so your insulation isn’t soaking anything up. The moisture can, however, sit in the material. Try to dry out your room by putting a dehumidifier in it. You need to do this because water just hanging in the insulation can spoil its insulating properties. 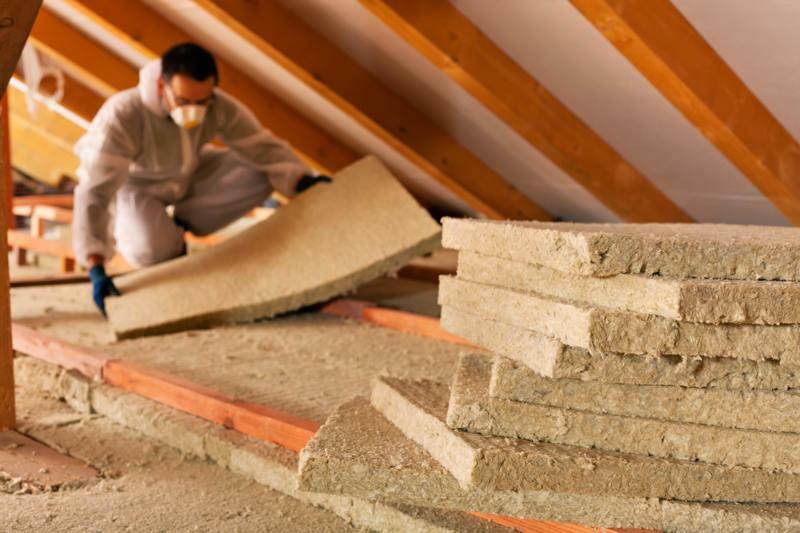 One issue to look out for is whether or not the insulation starts to smell after a while. In this case, it means that you need to replace the material. Whenever you work with fiberglass, you need to make sure that you wear proper safety equipment. Or better yet, get a professional to do it for you. Spray foam is a hard material used in homes. Its official name is closed-cell spray foam insulation. Because of its closed nature, there’s no place for water to penetrate. It simply sits on the top of the outer shell. If you have moisture on your foam insulation, just wipe it off with an absorbent cloth. Foam board is a thick material that installers cut to the size and shape they need. This makes it very easy to set up. One of foam board insulation’s best properties is its closed-cell nature. In fact, it’s made from the same material as spray foam. This means that it doesn’t hold water. The only problem is that sometimes water gets trapped between the insulation and the wall, which makes it a breeding ground for mold. Make sure to always check behind foam board insulation if you suspect that it’s wet. Cellulose is the material that makes up plant fibers, including wood. This means that it has many of the same properties as wood. Unfortunately, this includes a weakness to water. If your cellulose insulation is wet, that’s a problem. When it becomes waterlogged, mold and rot begin to develop. This can lead to rot that compromises the integrity of your home’s frame. It also increases the risk of health hazards to you and your family. What can you do if you spot wet cellulose insulation? Inspect the Area: How much of the batting is affected? Take note, and make sure that you check everywhere. If it’s Small: When the moisture only covers a small area, you can cut out the wet part of the insulation and replace it. If the Wet Area is Large: If the moisture covers a larger area, you need to replace the entire section and check for mold damage to the walls. As we mentioned before, water can spread. You absolutely need to make sure to inspect behind your insulation, unless you have spray foam. Wet patches in the ceiling or walls are a big problem. Also, look for any discolored areas behind where the insulation was. If you find or suspect mold, you need to get a qualified home inspector on the premise to look for any other problems. From there, you’re going to need a professional contractor to fix things. To whom should you turn when you have a problem? Northwest Weatherization is one of the most professional outfits in the area. We’ve been in business since 2010, and in that time we’ve expanded from Hillsboro to serve throughout the Portland, Vancouver, and Salem areas. This is due to the hundreds of satisfied customers who continue to recommend us to friends and family. We have a reputation for being open, honest and competent. Our technicians are both LEAD- and PCTS-certified, so you can rest assured of their expertise. We hire only the best people for the job. The team members show up on time for all appointments, and they treat you with respect and courtesy. Our team members leave your home looking as good or better than when they got there. All you need to do to get the ball rolling is to give us a call or fill out the contact form on this site. We set up a free consultation session to determine what you need and how to best take care of the job. Our terms and rates are competitive and we can work within a variety of budgets. After you sign the contract, we get right to work and fix the problems as soon as possible. We’re also available for installation and other insulation projects. Don’t let a small problem snowball into an issue that affects the structural integrity of your home, or your family’s health. 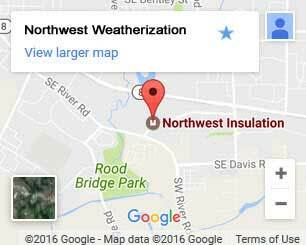 Turn to Northwest Weatherization when you want service from the best insulation contractor in Portland and the surrounding area.